Happy Monday! I know Monday is not the most favorite day of the week for some, so to sweeten up your day here's a list of adorable items that I am dying over! So Cute! First up, this adorable cupcake tea kettle from Modcloth.com!! 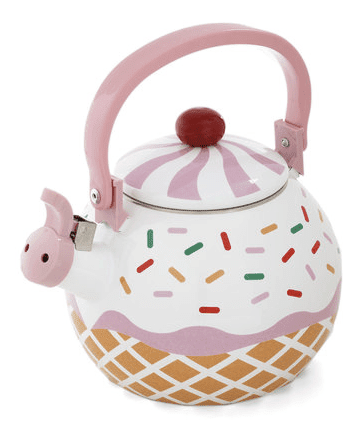 OMG, Wouldn't you want to have tea every day just to use this!? I love Disney and I love Toms shoes so here are those two worlds collided! These "Up!" inspired shoes are custom Toms painted by the super talented CriSoles on Etsy! I want to go adventuring in them! 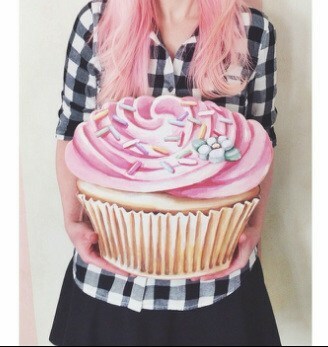 This is an amazing jumbo cupcake wood cut that you can grace your lovely kitchen with (or any room in the house)! This is done by Every Day Is A Holiday and they even have a giant stack of pancakes and a jumbo ice cream cone too! I want all three! 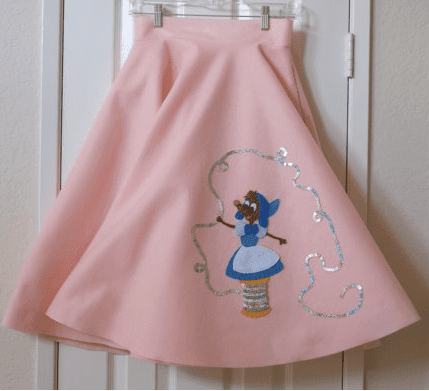 I J'Adore this Cinderella inspired circle skirt by Daily Sparkle on Etsy! The mice were my favorite in the Cinderella Disney movie! I've got to get one of these for the next Disneyland Dapper Day! 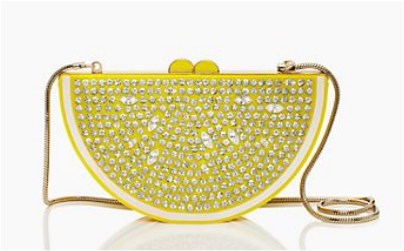 Spring has just sprung but I'm already loving this sunny California weather and this sparkly lemon bag from Kate Spade makes me want to have lemonade all day!!! The park that started it all, Disneyland in California, will always be near and dear to my heart! I think I should get one of these bracelets to show my love don't you?! 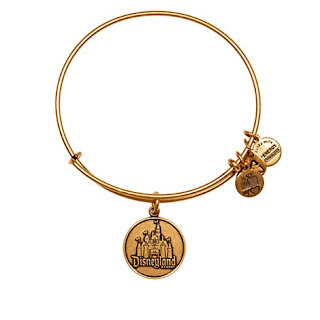 These are by Alex and Ani and are so pretty and delicate! This is my dream chair! 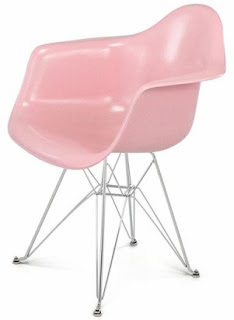 It's an Eames inspired Fiberglass Eiffel leg chair! It's so sleek and modern yet vintage looking AND in pink!! How pretty is this poppy and posy necklace from Layla Amber on Etsy! 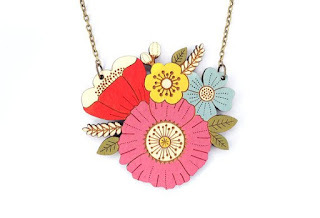 It's perfect for Spring and so feminine! 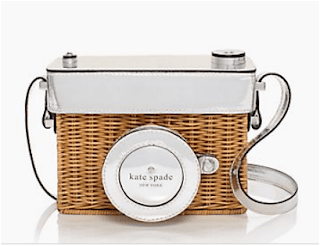 Another Kate Spade creation currently in their stores! It's a bag shaped like a camera! Amazing! It's super adorable and unique! Now, I don't have my own dog, but my cousin who I live with has the super cutest dog who I've adopted named Benji. 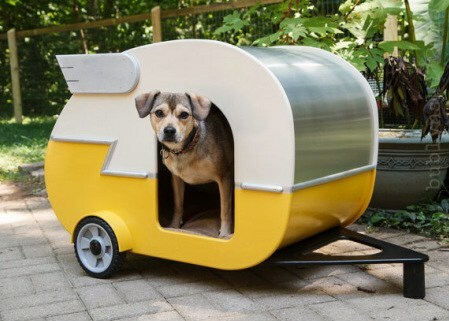 I think Benji would love one of these little dog trailers to hang out in! So cute! It's by Strictly For The Birds on Etsy! They also make super cute birdhouses! I love, love, love it!